We are instrumental in bringing to the clients supreme quality Bidi Tobacco that is Orange Brown to Light Greenish Brown in color. 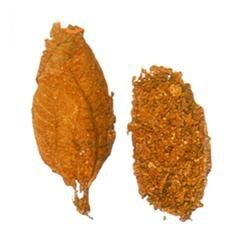 The leaves used in Bidi Tobacco are Medium to large sized. The Bidi Tobacco is used in the manufacture of bidis that is a hand rolled smoking product made by wrapping tobacco with natural ebony leaves.